State lawmakers continued to press economic development officials Monday to improve reporting on job development tied to tax breaks, loans and other taxpayer-funded incentives. Meanwhile, Department of Economic and Community Development Commissioner Catherine Smith said her agency is continuing to upgrade its reporting, but also is hamstrung by fiscal limitations and by a lack of information-sharing requirements throughout state government. Smith also assured members of the Appropriations, Commerce and Finance, Revenue and Bonding Committees that despite concerns about reporting, companies that receive state aid either create the minimum number of jobs required, or else. “If companies do not perform then they are required to repay the state the entire principal amount plus a penalty,” she said, adding that an independent auditor is assigned to tally the jobs created and retained at each firm that receives assistance negotiated by her department. Smith appeared before the legislative panels at a joint hearing held in response to two reports from the state auditors of public accounts about economic development incentives. Auditors John Geragosian and Robert Kane shocked legislators in April when they found DECD’s 2017 annual report has overstated both jobs saved and created by companies that receive incentives, and — in some cases — the cost of retaining those jobs. And while a revised report from the department last week addressed some of the auditors’ concerns, in many instances incomplete or potentially inaccurate data still exists. For example, she told legislators, the incentives offered by the quasi-public Connecticut Innovations Inc., which assists fledgling tech firms, was not included in her report. 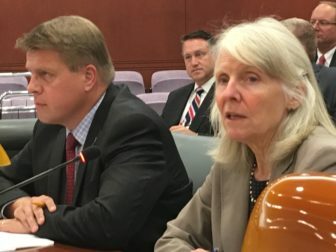 The department supported a bill earlier this year to merge Connecticut Innovations data with the DECD’s annual report. The bill was not adopted. DECD, like some other state agencies, struggles with aging software, Smith said, acknowledging that some components of her department’s report didn’t rely on the most up-to-date financial data. “We are still in the process in determining whether there is more we need to do,” she said, adding that her agency has been seeking more funding for technology upgrades for four years. 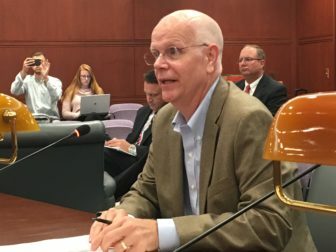 State Comptroller Kevin P. Lembo, who spearheaded the push in recent years to mandate a third-party assessment of the effectiveness of the hundreds of millions of dollars Connecticut spends annually on economic incentives, urged legislators Monday not to give up. The auditors can’t provide that third-party assessment without sufficient data from economic development agencies. Geragosian and Kane have another report due to legislators early next year on DECD and legislative leaders were divided as to whether they need to introduce more bills next year to get a better assessment of the state’s economic strategy. Rep. Melissa Ziobron of East Haddam, ranking House GOP member on the Appropriations Committee, said more legislation shouldn’t be necessary, provided the Executive Branch is serious about cooperating. But Rep. Chris Davis of Ellington, ranking House Republican on finance, said he wants to see the department’s report expanded to include details on incentive proposals that had to be abandoned. “That’s not included in this report, perhaps because it’s not mandated,” he said.